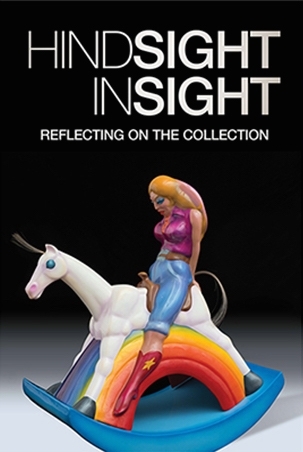 Robert Arneson and Joan brown are included in HINDSIGHT/INSIGHT: Reflecting on the Collection at the University of New Mexico Art Museum. This exhibition highlights over 50 artworks acquired since the museum was founded in 1962. Focus is primarily on international art movements of the 1960s and 70s including Pop, Minimalism, Conceptual Art and California Funk. Works by Arneson and Brown are displayed alongside artists such as Judy Chicago, Bruce Connor, Bridget Riley, and Robert Ryman, among others. The exhibition is on long-term view.